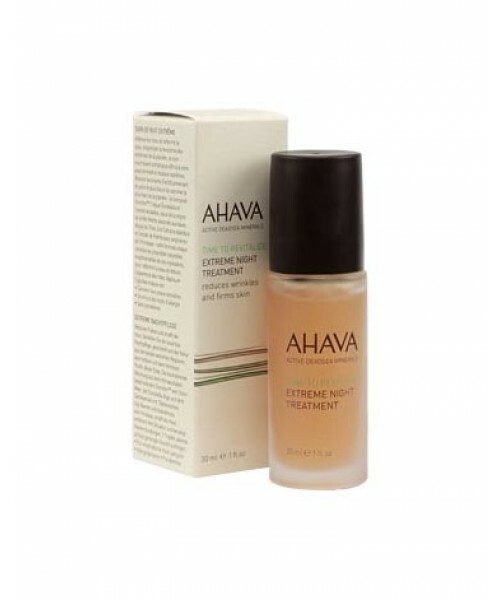 AHAVA Extreme Night Treatment this vitamin-enriched Dead Sea skincare cream is based on our "Extreme Complex" – a combination of AHAVA's OsmoterTM and the natural essences of Himalayan moss, raspberry root and Tibetan goji berries. It is a powerful blend that increases collagen, helps maintain optimal moisture levels and smoothes away wrinkles to give your skin renewed firmness and suppleness. Anti-aging overnight! Size: 30 ml / 1 fl. oz.